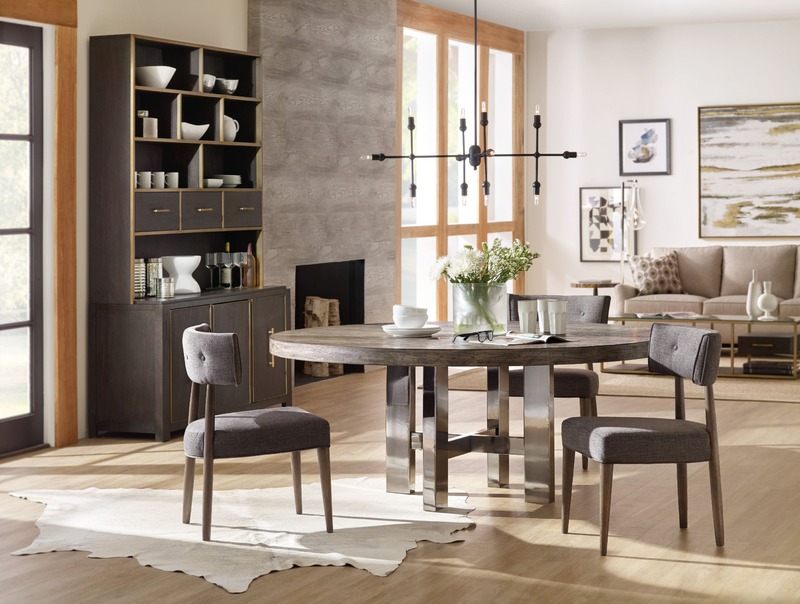 The round dining table in 72-inch and 60-inch sizes combine the Mountain Modern finish on top with a plated black nickel base. Create a curated chic modern look with an eclectic mix of sophisticated materials and finishes in the Curata Collection. Curata, meaning “curated” in Italian, mixes materials like black nickel, stainless brushed brass and marble with three distinct rustic modern finishes for a simple, yet urbane design. Inspired by timeless shapes and chic materials, Curata exudes a “less is more” feel by spotlighting the design of each piece and giving precise attention to detail.